Business groups have launched a scathing attack on the Government over the 4G spectrum auction and say it has revealed serious problems at the heart of public sector procurement. Simon Walker, director general of the Institute of Directors, expressed a typical view: “It is shocking that such a crucially important process has gone so seriously wrong. Businesses need a stable, reliable telecoms network and certainty in the provision of key infrastructure.” “Procurement mistakes increase risks for companies, threaten jobs and harm Britain’s reputation as a destination for inward investment,” added Adam Marshall, policy director of the British Chambers of Commerce. Just joking. I’m sure Messrs Walker and Marshall will forgive me for quoting them out of context this once; after all, I’m investing them with seer-like prescience. Their cited words are real, but in fact relate to the very clear and present danger of the West Coast Main Line rail fiasco. The fallout from that will be a moon-cast shadow compared to what will happen if HMG manages to screw up the mobile phone spectrum in the same way it has screwed up our railway network. As it happens, there has been some relatively good news on the 4G front recently. 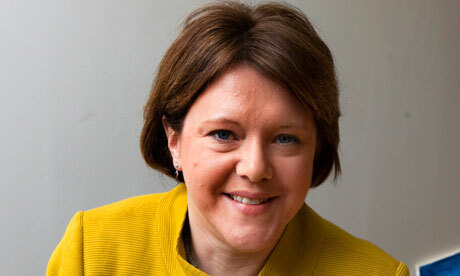 Maria Miller, the obscure former Grey advertising and PR executive recently catapulted to culture, media and sports secretary, has made a brisk start to her tenure by bringing forward the inexplicably delayed auction date of 4G spectrum to January and cutting through the legal wrangling among telecoms carriers which has deadlocked the introduction of the new, much faster, mobile phone standard to the UK. But will her timely action be enough to avert a looming disaster? First, a little background. 4G is not some minor incremental improvement on the current standard, 3G. 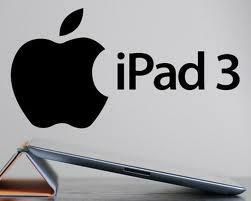 It can offer speeds of up to ten times that of the average current home broadband service. Data-hungry yoof, but more importantly business people and commuters, will love it. Miller herself observes that its introduction is “a key part of economic growth strategy” and will “boost the UK’s economy by around £2-3bn” (growth at last – the stuff that George Osborne’s political dreams are made of). America’s already got it, Apple’s got it, Germany’s got it, Korea’s got it. For God’s sake, Estonia’s got it. Britain, which prides itself on being at the heart of the digital revolution, has not. Why not? Because of years of government dithering over the auction structure. Gordon Brown made a bit of an idiot of himself by appearing to hand out the lucrative 3G spectrum to the telecoms carriers for a song. Successive administrations since have been determined not to make the same mistake twice, but seem uncertain how to prevent it. Now events have caught up with them. The situation is complex, but distils down to a simple reality. Apple has launched its latest ‘must-have’ iPhone with a 4G capability that no one in the UK will be able to take advantage of in the near future. Well, almost no one. 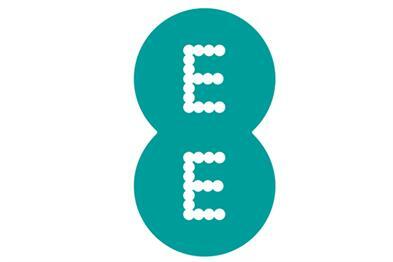 The exception: those who use EE, as of October 30th. Er, let me qualify that. No, not all users of Orange and T-Mobile, the brands which have had all their resources pooled into the Everything Everywhere receptacle (or EE, as it is now known – what a whoopee cushion of a brand name). EE itself has the exclusive iPhone 5 franchise, and only new subscribers, not old customers, will benefit from the 4G offering. Everyone else – that is, the vast majority of UK mobile phone users – will have to wait at least 8 months to subscribe. It may well be objected that what gives the EE brand a timely ‘digital’ lift is actually brand suicide for the company’s premier and better known brand, Orange. But that’s one for UK chief executive Olaf Swantee and his strategy team to worry about. In the meantime, they can congratulate themselves on having – unlike their competitors – farmed existing spectrum to make space for the 4G platform. A merry Christmas is assured, thanks to the exclusivity of their iPhone 5 4G contract. Once EE’s rivals, O2, Vodafone and Three, realised what Swantee was up to, cries of “Unfair” and “Unlevel Playing Field” were heard to rend the air. EE had played the ant in Aesop’s fable, and harvested its existing resources wisely, but the grasshoppers were beside themselves with rage that they would have to wait another six months to grab their share of the new spectrum via a dilatory government auction – and then some before the service could actually be implemented. What’s more, they were prepared to act decisively: they threatened to blunt EE’s leading edge with legal action. That might have been explicable in terms of competitive advantage and buying extra time to build the necessary 4G infrastructure. But as a prelude to launching the 4G standard in the UK, it would have created a public relations disaster. How do you explain to an iPhone-crazy public that access to much higher broadband speeds is being blocked by red-tape, selfish industry interest and legal chicanery? Miller has therefore done well to defuse the legal wrangling by agreeing to bring forward the spectrum auction date 6 months to the end of January. But implementation of the 4G dream is still a long, long, way away for most of us punters – we’re talking at least the latter end of next year. In the meantime, all sorts of teething problems will need to be sorted out: poor signal distribution, patchy network coverage, a quite possibly incompetent auction process that leads to further legal action and, let’s not forget, potentially incompatible 4G phones. 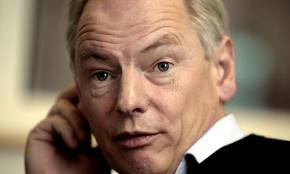 Has Francis ‘Jerrycan’ Maude committed an even bigger blunder with “Son of COI”? 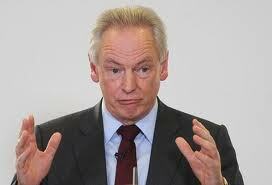 Cabinet Office minister Francis “Jerrycan” Maude’s legendary communications skills were on full display last week, with a gaffe that caused the Government its worst wobble since the election. Let’s hope this is not an omen. Maude is, among other responsibilities, the minister in charge of direct government communications. Meaning: he has been the prime mover behind the dissolution of the Central Office of Information, which officially closed on March 29th, and the fashioning of its hypoglycaemic successor, the Government Communications Centre. It’s too early to write off “Son of COI” as another one of Maude’s blunders – yet. Only time, and ramped-up expenditure in anticipation of the next general election, will give a definitive answer on that. Nevertheless, it is clear the new organisation will face formidable challenges right from the start. No one, including COI insiders, can take serious exception to Maude’s fundamental critique of the 66-year old institution: that it was spending far too much (not least on itself) and needed to be cut down to size. What has incensed critics is the savage severity of the resultant pruning, and the furtive ideological makeover accompanying it. Let’s take a helicopter view of what has happened. The new GCC team will be expected to carry out all the essential tasks of its predecessor at the COI. That is to say, it will coordinate Whitehall departmental campaigns from the centre, evaluate them, foster cooperation between these departments, media plan and buy for them and monitor the media results. The COI once boasted a team of over 700 to accomplish these tasks; even towards the end, and after savage cuts, it could still muster a headcount of 400. The GCC, by contrast, currently has a full complement heading towards 150. That figure, small though it is, does not fully reflect the painful new reality. Nearly half of the new team is made up of already existing communications (ie PR) staff extracted from the departments of state. They are not (it almost goes without saying) marcoms experts and would not have formed a part of the COI’s remit. So the marcoms element of the team is lean indeed. Moving on, the integration of comms and marcoms might seem no bad idea. And in principle it is not. Many would argue that PR people have grasped the potential – and limitations – of digital media, particularly the so-called social graph, far better than those working in traditional brand management. That should not blind us to the dangers, however. Particularly those inherent in a merger where comms has come out top. Significant in this respect is the Government’s decision to appoint Jenny Grey as permanent executive director (CEO) of the GCC, in January. By all accounts, Grey is a popular and competent executive, but she has zero experience of traditional private sector marcoms. Previously she was director of policy and communications for No 10 and the Cabinet Office (responsibilities she retains as part of her new role). Before joining the civil service in 2008 she worked for the Audit Commission, Cancer Research and the NHS. Her career began in agency PR. In appointing Grey, the Government went back on its previous commitment to pick a marketer from the private sector. Grey is no doubt a popular ‘insider’ choice. Clearly, she is well liked in the Cabinet Office. And the departments of state are unlikely to have objected either, inasmuch as one of their own – a civil servant – will now be running the co-ordinating shop. But the decision does leave you wondering who will be qualified to do business with the outside world: private sector contractors – marcoms agencies prime among them. The answer to this question might, in other circumstances, have been Grey’s deputy, Wendy Proctor. Proctor had plenty of ad agency experience before she became client services director at the Department of Health. But in her new role as deputy director, Cabinet Office shared communications service, she will have her work cut out managing the undermanned “shared delivery” pooling system that ministers to the needs of the 7 government department “hubs” set up as part of the administrative reform programme. These “hubs” are themselves experimental and rather controversial. It remains to be seen how well they will work in aggregating and filtering departmental work. So the GCC will be a much smaller, more inward-looking creature than its predecessor. It will have a very steep learning curve. Its mindset will be that of the comms department and, indeed, of government ministers. It will favour short, sharp, “messages”, designed to curry favour with the Daily Mail and opinion polls over long-term strategic programmes whose true value may not become apparent until well after the next general election. Even it were interested in some new equivalent of DrinkDrive or Change4Life, where nowadays would it find the resources to properly evaluate such programmes? Marcoms, once the COI fairytale princess, has ended up being Cinderella at the GCC. If you want an exemplary lesson in how to throw the baby out with the bathwater, look no further than the Cabinet Office’s muddled plans for superseding the Central Office of Information. Admire, first of all, the masterly language of its press release: economic to the point of curtness, yet replete with the kind of ambiguity that once sent the Light Brigade charging down the wrong valley. Clearly the release is written by – and at the behest of – people who haven’t got a clue about the most basic principles of marketing. They seem to think it’s just another branch of PR. Now let’s move to some of the detail, such as it is. Ostensibly, Cabinet Office “Enforcer” Francis Maude has finessed the advice of his recently departed top adviser, Matt Tee, into a much more economical proposition. Tee’s report, it may be remembered, recommended the COI be streamlined into a fleeter, rebranded, organisation of only 150 employees (2 years ago, it had a staff of about 730). Maude has got the bit between his teeth and evidently believes that government can dispense in its entirety with the services of a formal centralised body orchestrating its communications. Instead, all government marcoms will now be remitted to the departments of state where they originate, unmolested except by “a new governance structure” of 20 people, dedicated to the ruthless eradication of all duplication and waste. So important is this new department of oversight that it has as yet no name, being referred to quaintly as the ‘Communications Delivery Board’. Another of the heretofore COI’s critical functions, the appointment of agencies, will be hived off to a small “specialist communications procurement unit under the leadership of Government Procurement”. Let’s see how the department of shoes and ships and sealing wax deals with that one. Finally, the rag-tag-and-bobtail of “specialist services” will be placed in “a shared comms delivery pool”, whatever that may be. The important point to note is that the dismembered functions of the COI will now operate as fully-fledged arms of the Cabinet Office, rather than being semi-detached from it. In other words, they will be vulnerable to covert, if ignorant, political manipulation in a way they were not under the ancien régime. The litmus test of manipulation will be in the appointment of the CDB’s new executive director. Currently, the COI retains some private-sector savvy assets in the form of its chairman Chris Wood and its non-executive director Simon Marquis. It is not clear, however, that either of these will, or will wish to, succeed to the new, attenuated, top role. The most likely appointee will be someone with Tee’s kind of background – a director of comms, skilled at garnering positive press headlines but with no practical knowledge of marketing. Not everyone will be dissatisfied with this outcome. The big-spending departments of state, such as Health and Transport, are no doubt savouring a famous victory. Under Tee’s proposals, they would have been issuing P45s to many of their dedicated marcoms people. Not only has that idea been kicked into touch: these departments will now be in control of their expenditure in a way they can only have dreamt of a decade ago, when the idea of departmental UDI first erupted during Carol Fisher’s contentious reign as COI chief. Alas, Health and Transport are the exceptions that prove the rule. They can boast of high profile, successful campaigns – such as Drink Drive and Change4Life – with considerable resources irrevocably committed to them, even in the present austere climate. Elsewhere, the glee may be rather short-lived. Take more occasional users of the taxpayer’s shilling, such as the Department of Justice. No amount of astute manipulation of the headlines by its press secretary was ever going to win the public over to the odious idea that dangerous prisoners might be let out earlier if they owned up to their crimes. The winning argument – centering on making the overloaded justice system more effective and less profligate with public money – is a subtle one, best embedded in a long-running strategic campaign. And who better qualified to help devise it than the old-style COI, informed by the most up-to-date techniques of behavioural nudge? No chance of that under the new regime. Indeed, with so few experts employed, it would be no surprise to see the government’s communication programme collapse under the weight of its workload. The complete abolition of the COI is a cynical economy too far. Sadly, the Government will probably only come to realise this as we approach the next general election – and marcoms spend soars once again. Things are moving with unaccustomed and electrifying speed at the COI. Chris Wood, the senior of two non-executive directors, has effectively taken over the tiller from CEO Mark Lund, who is stepping down some 5 weeks before he was expected to. The catalyst behind this accelerated transition is Waitrose, as in the £25m advertising account. Although Lund had signalled a return to the private sector, the rapidity of the Waitrose win by his new agency Now took everyone by surprise. And made Lund’s continuation at the COI untenable. Hence his leaving party last night. Technically, Wood is to be acting chairman. Two civil servants will be joint chief executives. Emma Lochhead, whose importance I flagged in an earlier post, is HR Director at COI/Cabinet Office (Government Communications); and Graham Hooper is head of client service and strategy. In other words, of the trio only Wood is a marketing professional with “outward facing” experience of the private sector. In recent times, every head of the COI has been recruited from the private sector. The restructure is clearly an interim arrangement. It takes place against the backdrop of the Tee Report, drawn up by senior civil servant Matt Tee, recommending radical streamlining of the COI’s role and headcount. Tee’s recommendations are, for the most part, likely to be implemented but they need to be sanctioned by a public expenditure committee (PEX), which will not happen before June. I understand that, once the formalities are out of the way, Wood’s role – which would appear to be executive chairman – may become permanent. As it happens Wood, who is a well-known figure in marketing services circles, has just stepped down from being chairman of branding, strategy and design consultancy Corporate Edge (now a subsidiary of Photon), which he has led since 1997. Earlier in his career he was CEO of innovation consultancy Craton Lodge & Knight, which eventually floated on the London Stock Exchange. 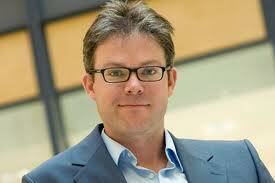 Subsequently (1990-97) he was a senior executive at Princedale plc, another quoted marketing services company. He bought out Corporate Edge from Princedale in 1997. Wood is now believed to be pursuing a portfolio career, and has business interests outside marketing services (such as a gastro pub in Wiltshire). He is known to be seeking non-executive positions. It may be of considerable significance that the COI has appointed another senior civil servant, Ian Watmore, as accounting officer. Normally, the role of accounting officer – who is directly responsible to parliament for the COI’s activities – is wrapped up with that of COI chief executive. This was certainly the case with Lund and his predecessor, Alan Bishop.